Home » Business » Tesco Books In An Epic £6.4bn loss! 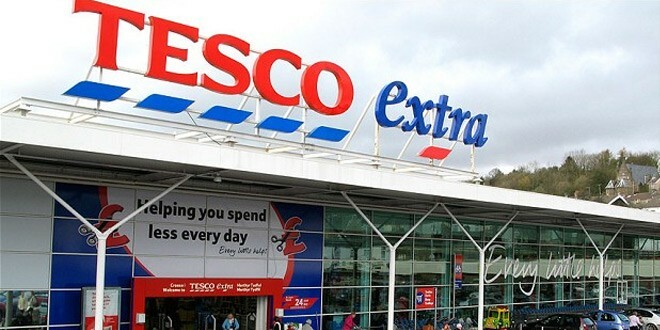 Tesco, Britain’s biggest retailer has reported a massive annual pre-tax loss of £6.4bn. Tesco was recently in middle of an accounting scandal and struggling with slump in sales. This is THE worst performance in the history of the 96-year old company as well as the worst recorded performance by a British retailer. Tesco sales are falling as consumers turn away from supermarkets to discount online retailers for better prices and deeper discounts. While sales figures were hammering down the company, a scandal also emerged in which £263 million was overstated in the amount of money it said it had earned from deals with suppliers. The retailer booked an impairment charge of £4.7bn on the value of its assets, part of a collection of £7bn of one-off charges that dragged it deep into the red. Other charges included £570m on stock, which is linked to how Tesco was recording income from suppliers, the issue that sparked the accounting scandal. The company was also hit by restructuring costs of £416m as it makes thousands of staff redundant and closes shops. The size of the statutory loss is even worse than the City and analysts were expecting. However, the one-off charges are non-cash and reflect a change in the value of the assets controlled by Tesco, rather than cash it has actually lost. The company reported trading profits of £1.39bn for the year to the end of February, down 58pc on last year. This figure excludes the one-off charges. Mr Lewis warned that Tesco could struggle to maintain this level of profit in the next 12 months as it invests in cutting prices and boosting customer service in attempt to attract shoppers. The Tesco boss also said he would be a “hostage to fortune” by claiming the retailer would not make further write-offs and that the charges were the result of an “objective assessment” of the health of the company. He said: “It has been a very difficult year for Tesco. “The results we have published reflect a deterioration in the market and, more significantly, an erosion of our competitiveness over recent years. Spirit Airlines pilots go on strike! Hostess Makers of Twinkies Seeks Bankruptcy Protection! Rite Aid Posts Quarterly Loss, Again! Previous: Japan’s Maglev Train Sets New World Record @ 603kph (373mph)!